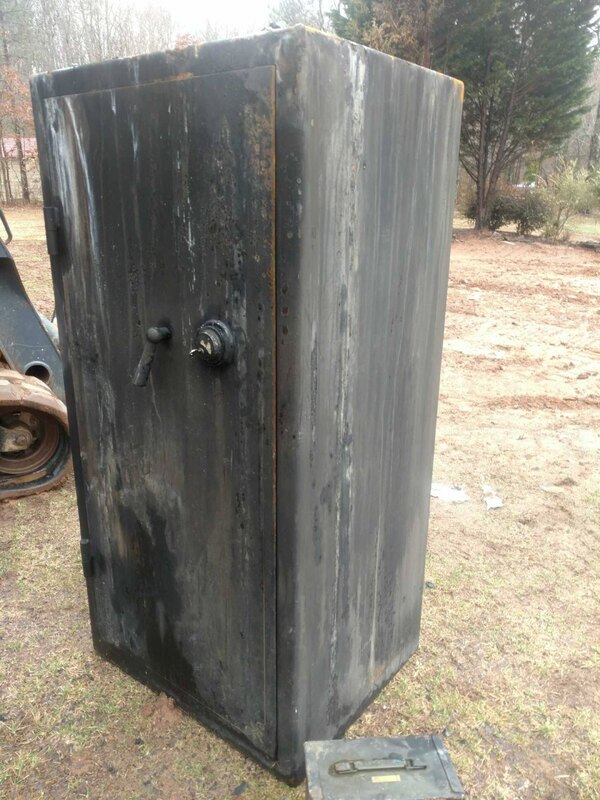 Read the reviews on Sun Welding Safes. We love reading your reviews! If you are looking to add a review please find the model you purchased then you can add your personalized review on the product! Please note we do not push product reviews. The reviews posted are from customer who wrote us after receiving their orders. Once I talked to staff Christine. I was sold. Her company is American MADE and second to none. For the price, I believe I have purchased the best safe available. The quality of workmanship is quite apparent, inside and out. This is a beautiful safe, and I have waited a long time to own it. THE SAFE IS WELL MADE INSIDE AND OUT. THE CONSTRUCTION AND SECURITY OF THIS SAFE IS MASSIVE AND IMPRESSIVE. I AM GLAD KURT FROM C.E. SAFE'S RECOMMENDED THIS SAFE. I RECOMMEND THIS COMPANY TO ALL MY FRIEND'S AND FAMILY. IT COST'S MORE THAN THE SAFE'S YOU CAN BUY AT DISCOUNT STORE'S BUT THE QUALITY AND SECURITY AND THE HEAVY SOLID STEEL AND 90 MINUTE FIREPROOFING IS WORTH THE EXTRA MONEY. I want you to know how much I appreciated the exceptional level of customer service I was provided. 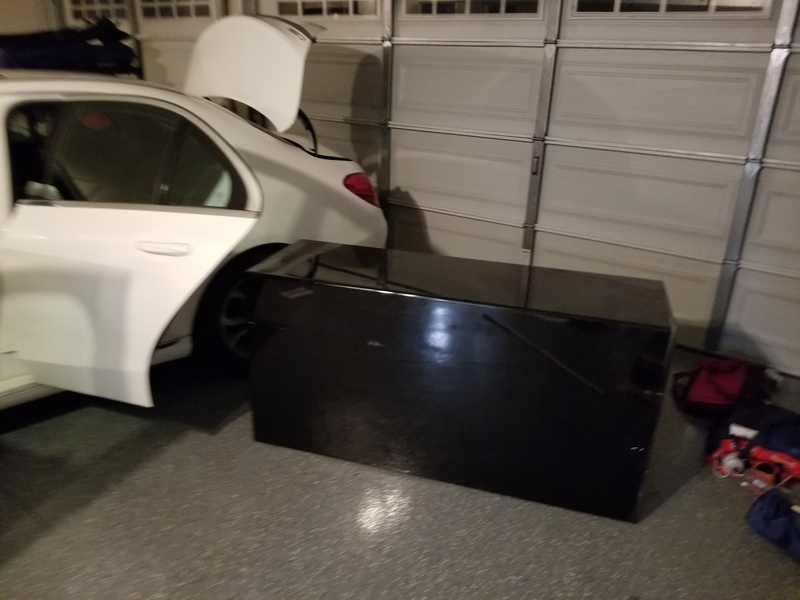 From the first quote to the time the safe was delivered to my garage I was kept up to date on the status of my safe. My questions were always answered the same day and Sun Welding workied their hardest to get me the best price on delivery. Sun Welding is the epitome of customer service. The safe arrived well pacakged as it came from the west coast to the east coast without any damage. Sun Welding, all I can say is thank you, thank you, thank you. The safe is just beautiful. They did an excellent job on the finish and pin striping. The door has a tight seal and the locking mechanism is something any bank vault would be envious of. My dad has the same safe that is now 10 years odf and it still works just as it did when it was new. Thanks again! I would like to give a very special thank you to Christine for all her help, from getting me the best deal on the safe, the best shipping rate and answering all my questions within the same day. Christine, thank you. Sun Welding should be proud that they have such an exceptional person working for them. Just a quick note to say thank you. You were terrific. Everything you conveyed to me on the phone was right on. That even includes the color. You did exactly what you said you were going to do, then some. As I stated before, I do not recommend people or services. In this case, if I know anybody shopping for a safe I WILL send them to you. When the delivery guy showed up for delivery, I looked at him, his helper, the size of the safe, and just backed away. What professionals. Careful, concise, and expertly maneuvered the safe into a small space. I was impressed. Once again, thank you, it was a pleasure doing business with You and Sun Welding Safe Company. Purchased my H-48 back in 2013 through a 3rd party safe company based in WA state. Going through multiple moves and two States, it still does the job. Too bad the Blue color option is no longer available as that is the color of my H-48. Thinking of getting another safe. Wouldn_t hesitate to consider Sun Welding again. Solid product, structurally sound, top of the line materials & methods used for manufacturing. Provides complete peace of mind for security. a really well built product, "stunning" is all I can say about appearance, very happy!!! "Earlier today, my house was burglarized by a bunch of thugs. 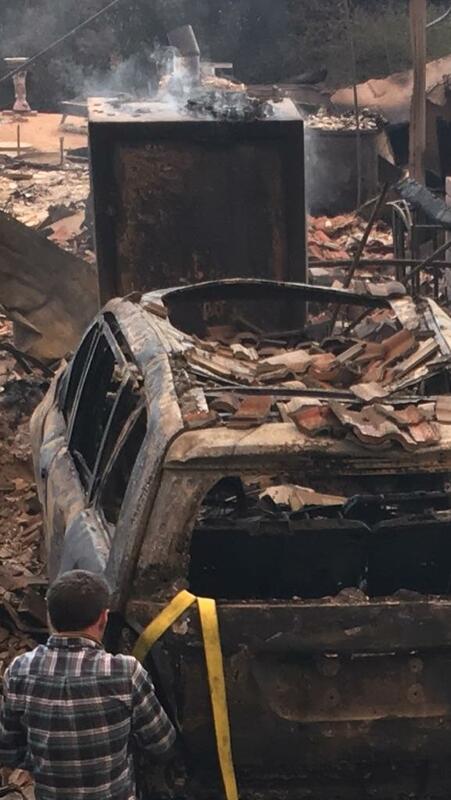 Luckily, no one was home and so no one got hurt. 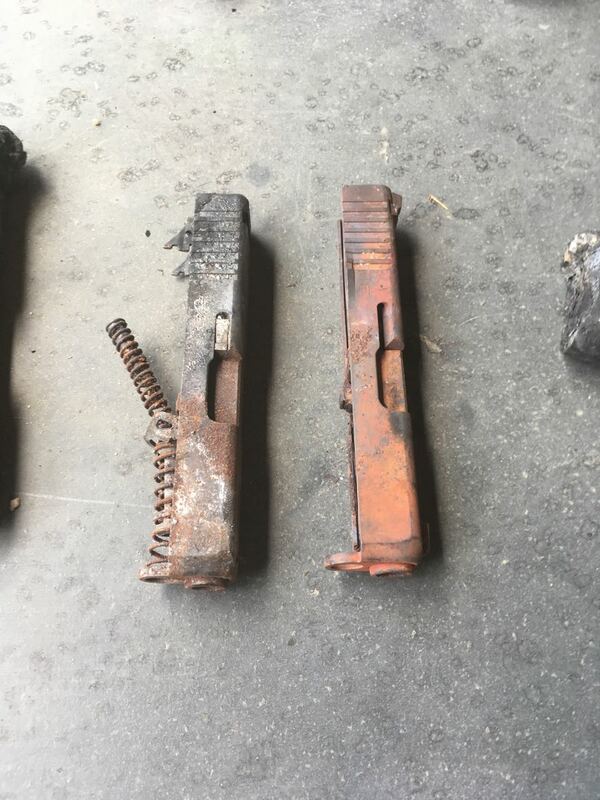 While they did manage to steal a couple of small handguns and plenty of valuables, your company's product saved me approximately $75k in other losses. 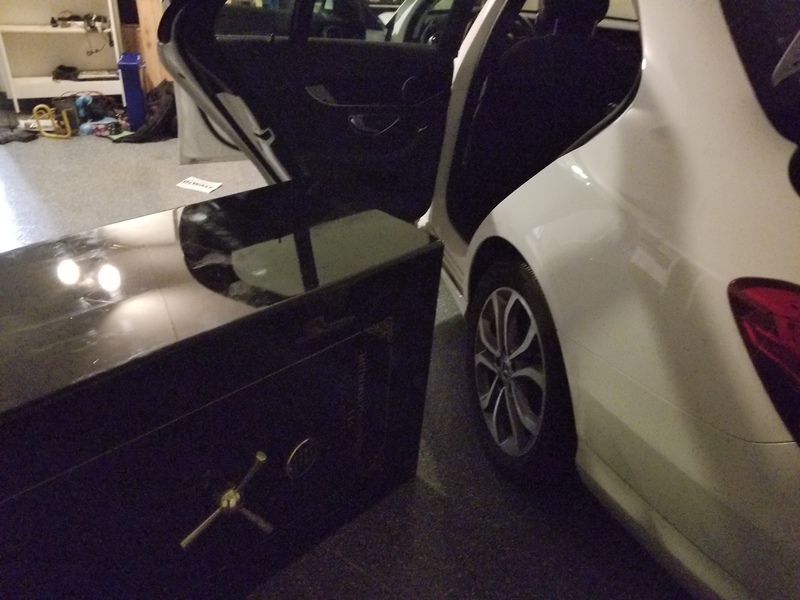 My safe was loaded with additional firearms, jewelry, and other valuables. The burglars managed to drag (no idea how they did it) my safe through one room, through a hallway, and into my garage, where they tried to break into it with a number of different tools. Luckily, they failed. They ended up abandoning it on my garage floor. 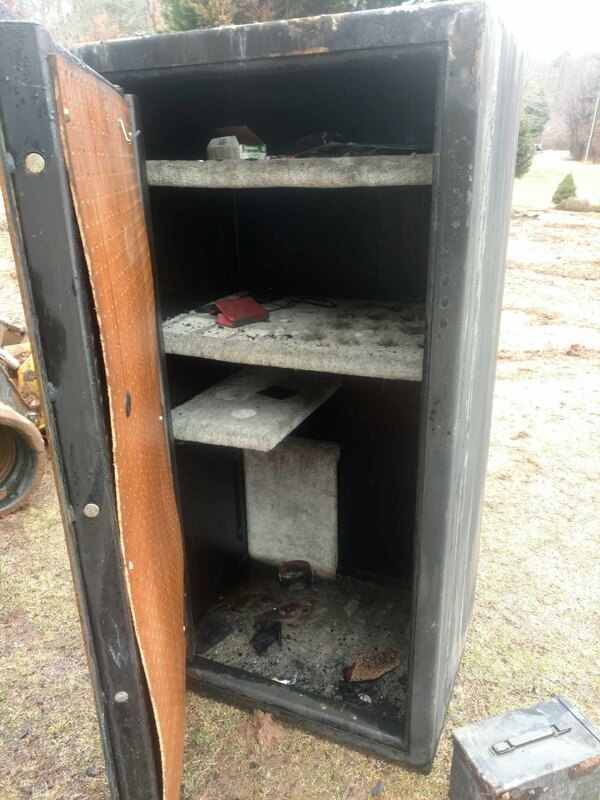 Although the interior shelves broke, and the exterior got banged up pretty badly, the safe most definitely did its job. See attached pics. I just wanted to write this as a thank you to your company for saving me a lot of money and limiting the size of my headache. I will be contacting you soon to order some new shelves, once everything settles down." 02/08/18 House fire Salisbury, NC on the 22nd of last month safe was right in the middle of the house we picked it up with a crane open the door safe seems to be in good shape and fact I'm going to clean it repaint it and use it in my reloading building as an ammunition storage dial still works key still works seems to be in very good shape thank you for producing a quality product the safe was bought approximately 40 years ago. Thanks again Doug B. NOTE: This older Pony Express safe does NOT have ANY fire liner. 04/11/2016 V.C. Safe movers installed the repaired safe today. It looks like new. Many thanks. You could have used it as an example of its security, look at the damage it received without being breached! They obviously spent a lot of time trying to get into the safe. Waste of their time and mine. 01/17/2015 I would like to thank Sun Welding for making one of the best safes on the market today. Their customer service and Quality of there safes are second to none. I purchased one of your safes for piece of mind and boy did it pay off. My house was broken into while it was being fumigated, and the thieves had hours to try and get into the safe. The thieves ground off and drilled the combination dial off of it. They also cut off the 3 spoke opening mechanism and all of the hinges along with trying to grind thru the door. None of that worked very well for them. Fortunately I had placed everything that was important to us in that safe prior to the fumigation. I really want to thank Sun Welding and Christine for all the help with the insurance company and getting thru this experience. They were very prompt at getting back to me with all my questions. They told me whom to call to get the safe open and had it put in a timely manner for evaluation. I have ordered a replacement and they are building it all within 2 weeks of the attempted break in. Thank you for suggesting to me to get a safe that I could grow into because that saved a few more items that the thieves couldn’t get to. I will always use Sun Welding for all my safe needs. I am so glad I chose you guys to buy a safe from. Do you have a story to tell us? If so, please fill out the information below.